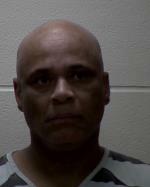 The victim in last week’s shooting in Mason City has died and the man accused of shooting her is charged with murder. Nineteen-year-old Samantha Teeter was shot in the head during an incident in an apartment complex shortly before 4 o’clock Friday morning. Teeter was transported from Mercy Medical Center-North Iowa in Mason City to St. Mary’s Hospital in Rochester where she died Sunday afternoon of cardiac failure. 60-year-old Larry Whaley is accused of using a handgun to shoot Teeter. On Friday he was originally charged with attempted murder by Mason City police, but now with Teeter’s death that charge has been upgraded to first-degree murder. Teeter currently is scheduled to be in court for a preliminary hearing on Friday morning. If convicted of first-degree murder, Whaley would face a mandatory sentence of life in prison without the opportunity for parole. This comes three weeks after a Lake Mills man is accused of murdering two people in a northeastern Mason City home. 30-year-old Peter Veal is due in court for his arraignment hearing on Tuesday.